Northern white cedar trees cling to the rocky rim of 38-acre Horseshoe Island. A tangle of birch and balsam fir, with pale blossoms of climbing fumitory, grow on the island, too. Long ago, people lived on Horseshoe Island. Indian people, including the ancestors of the Menomini, have lived in this area for over 2,500 years. In historic times other tribes visited Horseshoe Island, including Potawatomi. They fished for sturgeon and lake trout, no doubt finding refuge from storms in Horseshoe Island's south facing harbor. In 1850, Norwegian immigrant Ole Larsen settled here. Larsen supplied boiler fuel wood for vessels sailing Green Bay waters. Later, the island captured the imagination of a wealthy Nebraska family, the Foldas. Bankers by trade, they purchased Horseshoe Island for $500 in 1888. 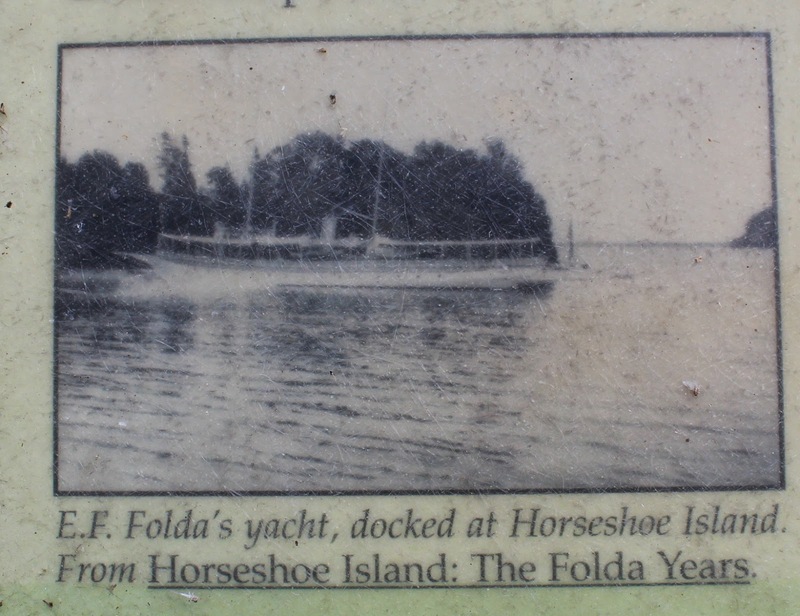 When the State of Wisconsin established Peninsula State Park in 1909, E.F. Folda negotiated a selling price of $5,000 and a life estate for himself as well as his wife and sister. In time, he built an impressive summer lodge, Engelmar. But Folda fell on hard times during the Great Depression of the 1930s. He sold and moved the lodge and all other island possessions. 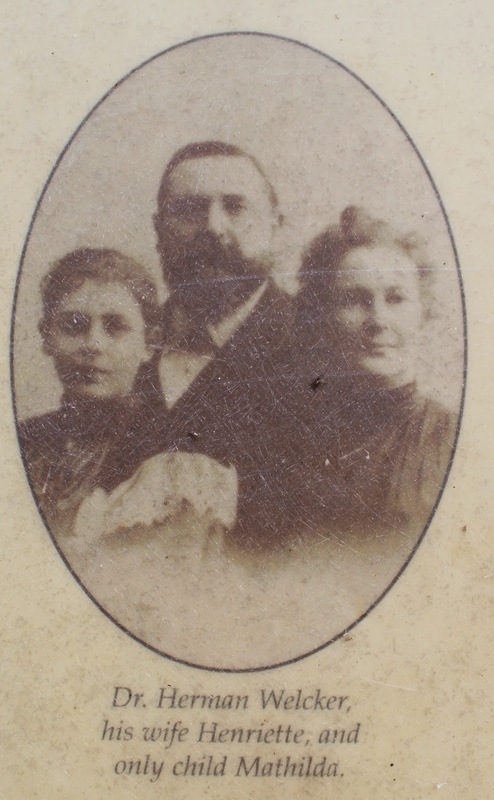 When he died in 1944, his widow, Alma, relinquished ownership. Today, Horseshoe Island is part of Peninsula State Park. Only the alert visitor will detect the lodge foundation, a root cellar, and openings where gardens once thrived. You are traveling around Welcker's Point. 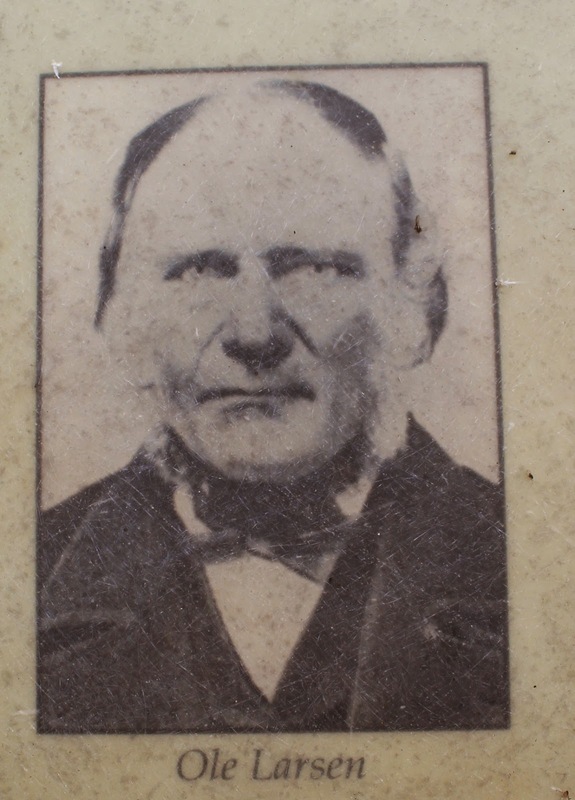 About 1900, German immigrant and physician Hermann Welcker established a health spa and resort in Fish Creek. Select guests enjoyed cherry kuchen, friendly card games of bridge and mah-jong, and Peninsula hikes. Old maps identify Horseshoe Island as Eagle Island. The majestic birds once nested there and may one day return again. Marker is the "water side" of Shore Road, 4.5 miles north of Main Street / Wisconsin Highway 42, at Eagle Bluff in Peninsula State Park, Fish Creek, Wisconsin 54212. NOTE: This is a fee area; a Wisconsin State Park System sticker or daily use fee are required. 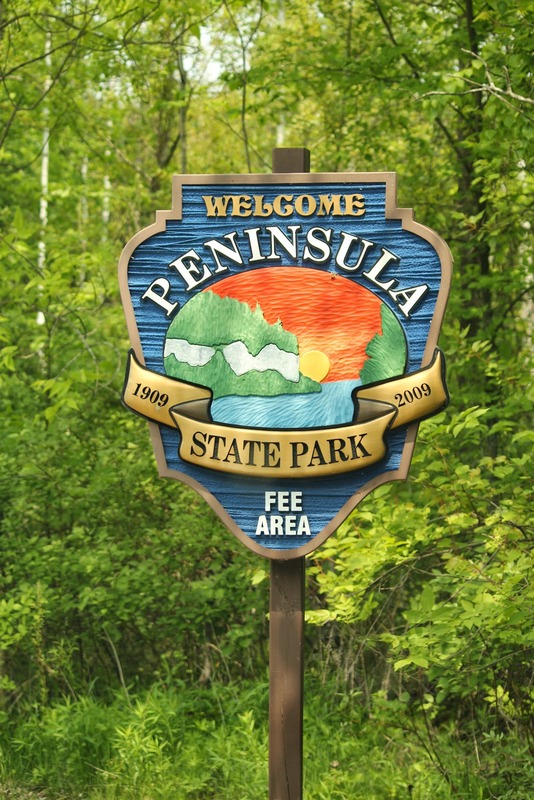 Use the "Peninsula State Park" label below to view all markers inside the park; there are several. See Horseshoe Island from the air, and more! With a view of Horseshoe Island in the distance. The marker is located inside Peninsula State Park.